For a good while there, it was accepted as a given that Premier League teams would keep dominating in the Champions League forever. “How could they not?” the thinking went. They were richer, collectively, than everybody else and that’s all that really matters in soccer. In the eight seasons from 2004-05 through 2011-12, there was at least one English team in the final seven times. In three of those years, an English team won. And in three straight years, 2006-07 through 2008-09, three of the four semifinalists were English. In 2008, we saw an all-English final. But then they sort of just stopped doing well. After Chelsea improbably won the Champions League in 2012, just two English teams made the semifinals in five years, and only four made the quarterfinals. The drought of Premier League teams making the final didn’t end until Liverpool did it last season, losing to a Real Madrid side that claimed its third straight European crown and fourth in five years. It’s hard to put your finger on why, exactly. One school of thought reckons that the competition within the EPL is so tough that there aren’t enough easy games for English teams to conserve energy for the business end of the Champions League season. They’re spent from all those months of scrapping for every point by the time things get serious continentally, whereas their European competitors are often gliding to yet another league title well before spring begins. Another possibility is that, for the last few years, the English teams may have had the depth, but lacked those few players who could truly make the difference with European glory on the line. While Barcelona, Real Madrid and some years even Bayern Munich had them in ample supply. At any rate, the fallow years for the Premier League seem to be over. On Wednesday, Liverpool ensured that it would return to the quarterfinals by knocking off Bayern Munich 3-1 away. That made it four English teams out of four in the last eight of the tournament. Manchester United had already come back from a two-goal first-leg deficit to upset Paris Saint-Germain; Tottenham Hotspur rolled over Borussia Dortmund; and Manchester City fairly crushed Schalke 04 by a 10-2 aggregate score. And because soccer is a funny sport, there’s just one Spanish team in the quarterfinals – Barca – after Spanish teams won seven Champions League titles in the last decade while also scooping up six Europa League trophies. This, then, represents a prime opportunity for the English clubs to end their run of futility in Europe and bring home the first continental crown since 2012. Because not only is half the remaining field sourced from the Premier League, but the opposition is largely manageable. Ajax and Porto, two teams not expected to make it this far, will make for an appetizing potential opponent in Friday’s draw. Although, it should be noted that the rule preventing two teams from the same nation facing each other expires at this stage, meaning it’s fully possible that we’ll have two all-English quarterfinals and, consequently, only two semifinalists. But that’s unlikely, and while Barca and Juventus – the former having smashed Lyon 5-1 and the latter fresh off a major, Cristiano Ronaldo-orchestrated comeback against Atletico Madrid – present significant obstacles, the chances for the English are as promising as they have been in years. Real has been dethroned and Bayern, a serial eliminator of English teams, is out as well. 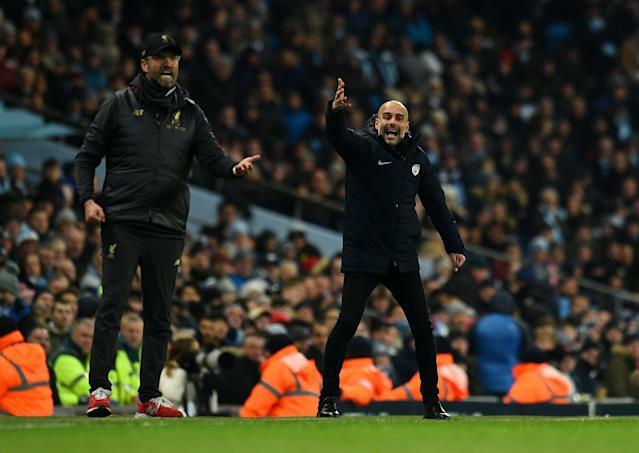 In Liverpool and City, the Premier League has produced two of the best English teams in memory, with both pushing boundaries of tactics and performance. Tottenham seems to have run out of gas, imperiled by a thin squad, just as many had feared it would be. But even a resurgent Manchester United now looks like a contender, in the midst of Ole Gunnar Solskjaer’s remarkable interim turnaround job following Jose Mourinho’s ugly dismissal. You may recall that when Chelsea won it all in 2012, it did so in a similarly bizarre campaign. Manager Andre Villas-Boas was fired in March and his caretaker successor, Roberto Di Matteo, caught lightning in a bottle as the Blues squeezed past Benfica and Barca to reach the final. There, Chelsea eked out extra time after an 88th-minute Didier Drogba equalizer, before beating Bayern in its own Allianz Arena on penalties to take home the big trophy. That was an unlikely conclusion to a weird season, ultimately turning out in favor of the English. A weird season kind of like this one.